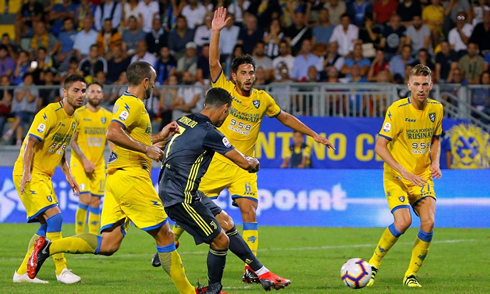 Juventus extended their perfect record in the Serie A to five wins in five games, after beating Frosinone by 2-0 earlier today at the Stadio Benito Stirpe. 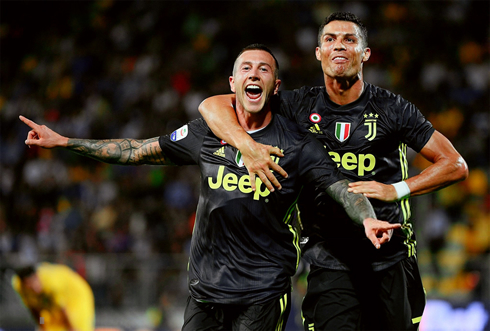 Cristiano Ronaldo scored the opener in 81st minute of the game, while Bernardeschi sealed the deal in added time. It's been a strong start for Juventus this season so far, as the Bianconeri pulled off their fifth straight win in the Serie A this evening, following a 2-0 victory against Frosinone at the Stadio Benito Stirpe. The key moment of the game was delivered by Cristiano Ronaldo in the 81st minute, when the Portuguese forward finished off a rebound already inside the visitors' box. It was CR7's third goal in the league, which allows him to stand out as the team's top scorer in the Serie A, just two goals behind Genoa's Piatek, who leads the table with 5 goals. The final score was settled at 2-0 deep inside injury time, with Bernardeschi beating Sportiello for the second time on the night. 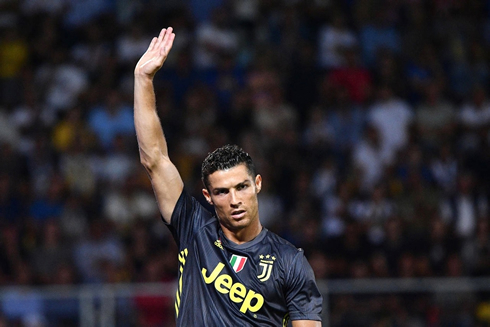 After the midweek incidents in the UEFA Champions League, many predicted that Cristiano Ronaldo would be taking his frustration out on Juventus' next opponents Frosinone, however, the minnows did incredibly well and defended valiantly throughout the match making it hard for Juventus. Truthfully, the Bianconeri weren't their sharpest, perhaps a bit fatigued after the midweek trip to Spain and their tough battle against Valencia. But while it wasn't exactly the goalfest that many hoped for, some of the bet offers to get the most	value from a game like this were obviously related to a Juventus' win. Ronaldo was able to insert himself into the match near the end netting a goal in the 81st minute to give Juventus a crucial 1-0 lead. The ball fell to Ronaldo after a deflected shot in the box and he was able to power home a driven shot, despite a deflection from the keeper. Ronaldo peeled off with a smile on his face, his third Serie A goal overall and perhaps an omen of the season to come. One thing to note, Ronaldo has been playing a lot deeper with Juventus under Allegri and we've seen a bit more of the Ronaldo that's played with Portugal. It's great to see Ronaldo in a more creative role again and still being able to convert in front of goal when needed. Cancelo and Bernardeschi however, have been real standouts this season. The pair has brought an excitement to Juventus that has been well received. Especially the latter, who should find himself in the starting lineup soon based on his performances. He seems to have really bonded well with Ronaldo too. It's a quick turnaround now for Juventus, as they take on Bologna next week and Napoli on the weekend, in what's sure to be an enticing matchup. Cristiano Ronaldo next game for Juventus is on September 26 of 2018 against Bologna. You can watch Juventus vs Bologna, Inter vs Fiorentina, Oxford vs Manchester City, Manchester United vs Derby County, Wolverhampton vs Leicester City, and WBA vs Crystal Palace, all matches provided from our football live streaming game pages.